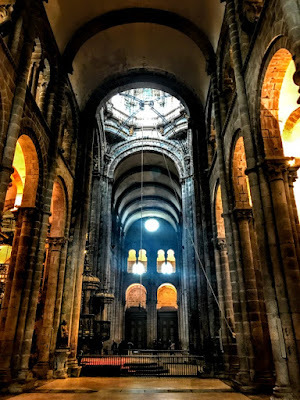 A generous gift recently allowed me to have a late celebration of my birthday in Porto in Portugal, and to enjoy a few days in the Douro Valley and in northern Portugal. 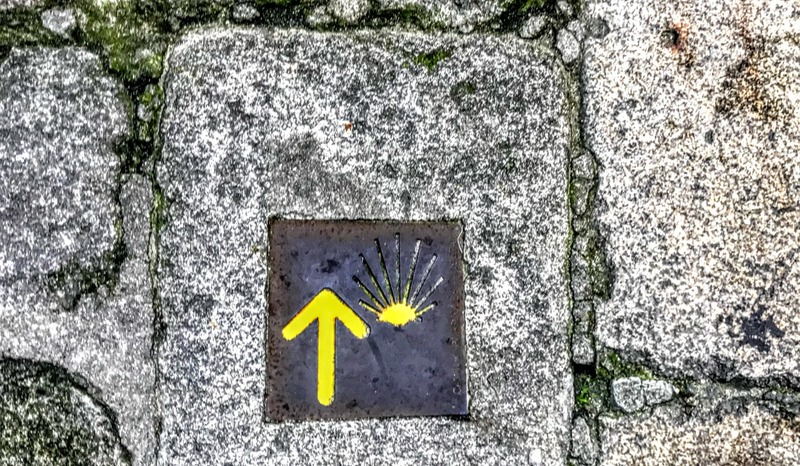 As I strolled around the heart of old Porto and visited the Cathedral, I noticed a number of signs with pilgrim shells and small yellow arrows pointing to the pilgrim way or Camino to Santiago de Compostela. The Camino has become a popular spiritual quest in recent decades, and many of the pilgrims along the way have few if any church connections. 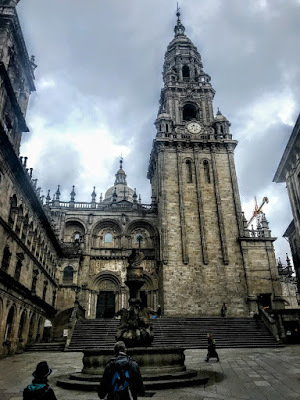 Until now, I had imagined there was only one pilgrim route along the Camino to Santiago. The most popular route, which is crowded in mid-summer, is the Camino Francés, a 780 km way that stretches from St Jean-Pied-du-Port near Biarritz in France to Santiago. But this route is fed by three major French routes and is joined along the way by routes that cross the Pyrenees or begin in Spain at Montserrat near Barcelona, and in Irun, Bilbao, Oviedo, Valencia, Toledo, Ferrol, A Coruña, Seville and Salamanca. 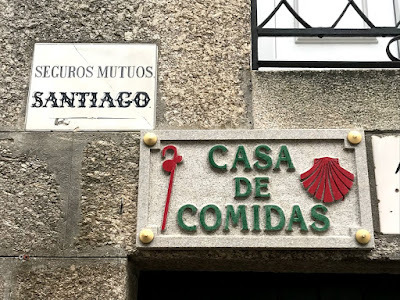 Few people in Ireland seem to travel along the Camino Portugues, which begins in Porto and works its way through northern Portugal before crossing the border into Spain. Yet the Portuguese Way is the second most popular Camino in terms of numbers of pilgrims. While the whole Camino Portugues has its starting point in Lisbon, the capital of Portugal, most pilgrims from Portugal start their journey in Porto or from the Portuguese-Spanish border town of Tui. The route from Lisbon to Porto has fewer facilities and the waymarks are not that good, but the stretch from Porto to Santiago has frequent pilgrim hostels and bars on the road and is quite busy with pilgrims. The entire Camino Portugues from Lisbon to Santiago is 616 km long, but the part that starts in Porto is only 240 km long. The pilgrimage from Portugal to Santiago de Compostela dates from the Middle Ages and was used by Queen Isabel of Portugal in the early 14th century. The route follows closely the ancient Roman roads of Lusitania. Summer is the most popular time to walk the Camino Portugues, but it is still less crowded than the Camino Francés and other routes. The busiest months are July and August, when it can get crowded, especially in the latest stages of the Camino, and the albergues – the hostels that have provided accommodation for pilgrims for centuries – can be full. The Camino network is similar to a river system – small brooks join together to make streams, and the streams join together to make rivers. Walking the Camino is not difficult as most stages are fairly flat on good paths. Many people walk different sections in successive years. 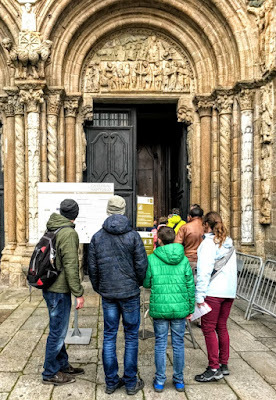 Some set out on the Camino for spiritual reasons, others find spiritual reasons along the Way as they meet other pilgrims, attend pilgrim masses in churches, monasteries and cathedrals. Pilgrims who complete the Way receive a certificate known as the Compostela. To earn the Compostela at the Pilgrims’ Office in Santiago, a pilgrim must walk at least 100 km or cycle at least 200 km and state that the motivation was at least partially religious. The history of the Camino de Santiago dates back to the early ninth century and the discovery of the tomb of Saint James in the year 814. 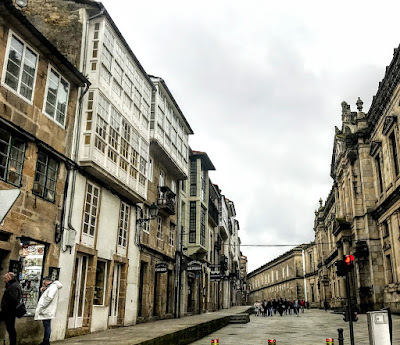 Since then, Santiago de Compostela has been a destination for pilgrims from throughout Europe. 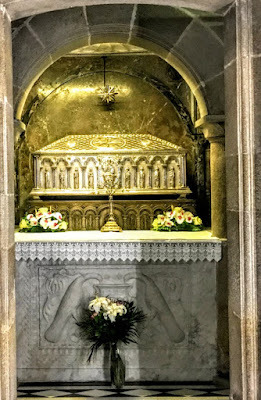 Legend says that the body of Saint James was carried by boat from Jerusalem to northern Spain, where he was buried in what is now the city of Santiago de Compostela – the name Santiago is a local Galician form of the late Latin name Sancti Iacobi, Saint James. The Way of Saint James became one of the most important pilgrimages in the Middle Ages, alongside those to Rome and Jerusalem. 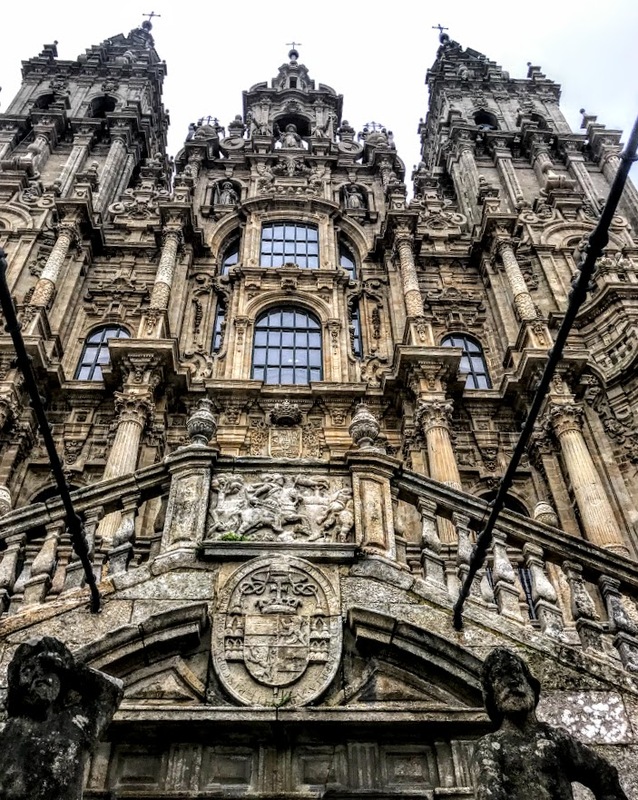 With the Muslim occupation of Jerusalem and later during the Crusades, the Camino became a safe and popular alternative to pilgrimages to the Holy Land, and one of the pilgrim routes on which a plenary indulgence could be earned. 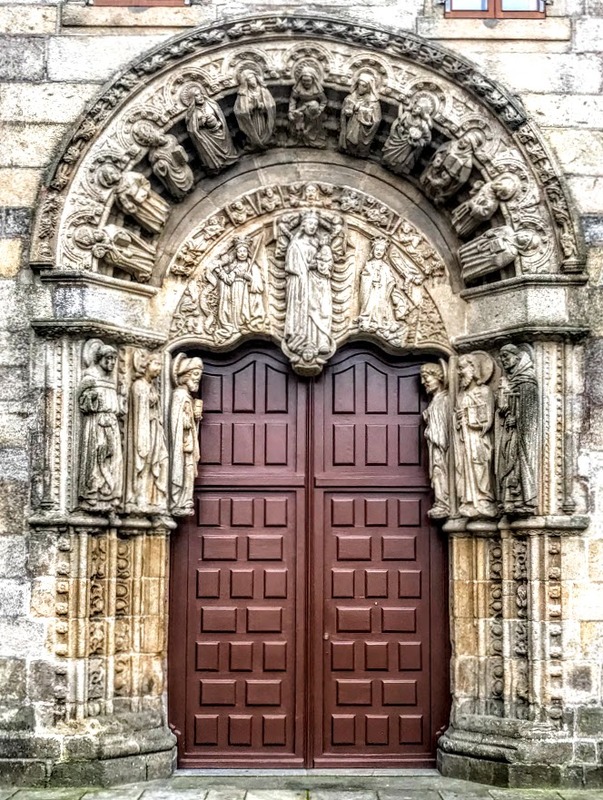 The flow of people along the Camino brought about a growth in the number of hostels and hospitals, churches, monasteries and abbeys along the pilgrim route. The scallop shell has long been the symbol of the Camino de Santiago. Two legends seek to explain the origin of scallop as the symbol of Saint James, who was martyred in Jerusalem in 44 AD. According to Spanish legends, he had spent time preaching the gospel in Spain, but returned to Jerusalem after seeing a vision of the Virgin Mary on the bank of the Ebro River. One version of the legends says that after his death, his disciples shipped his body to the Iberian Peninsula to be buried in what is now Santiago. Off the coast of Spain, a heavy storm hit the ship, and the body was lost to the ocean. After some time, however, it washed ashore undamaged, covered in scallops. A second version of the legend says that after Saint James died his body was transported by a ship piloted by an angel, back to the Iberian Peninsula to be buried in Santiago. As the ship approached land, a wedding was taking place on the shore. The young groom was on horseback, and on seeing the ship approaching, his horse took fright and horse and rider plunged into the sea. Through miraculous intervention, both horse and rider emerged from the water alive, covered in seashells. Along the Camino, the shell is seen frequently on posts and signs to guide pilgrims, and the shell is commonly worn by pilgrims too. Most pilgrims receive a shell at the beginning of the journey and either sew it onto their clothes, wear it around their necks or keep it in their backpacks. 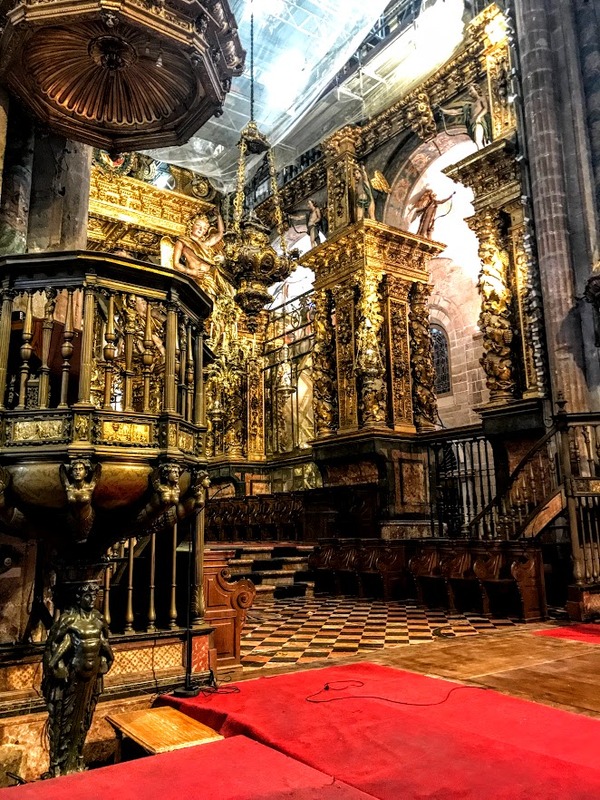 The first place to visit when I arrived in Santiago was the Cathedral of Santiago de Compostela, the reputed burial place of Saint James the Great. This is one of the only three churches in the world said to be built over the tomb of one of the 12 Apostles, alongside Saint Peter’s Basilica in Rome and the Cathedral of Saint Thomas in Chennai, India. The cathedral is a Romanesque structure, with later Gothic and Baroque additions. The early church was reduced to ashes in 997 by Al-Mansur ibn Abi Aamir (938-1002), commander of the army of the Caliph of Córdoba. Work on building the present cathedral began in 1075 during the reign of Alfonso VI of Castile. The new cathedral was modelled on the Church of Saint Sernin in Toulouse, one the great Romanesque buildings in France. Work was interrupted several times and the cathedral was not consecrated until 1211. The pilgrimage to Santiago began to decline in popularity in the 14th century because of wars, the Black Death and natural catastrophes. The decline continued with the Reformation and the political wars in 16th and 17th century Europe. 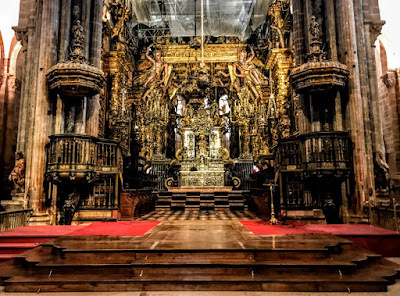 Meanwhile, however, the cathedral was expanded and embellished in the 16th, 17th and 18th centuries. Each of the façades along with their adjoining squares constitute a magnificent urban square. The Pratarías or Silversmiths’ façade was built by the Master Esteban in 1103. 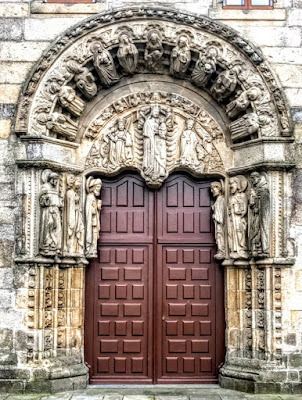 The Pórtico da Gloria or Doorway of Glory, an early work of Romanesque sculpture, was completed by Master Mateo in 1188.The Baroque façade of the Praza do Obradoiro was completed by Fernando de Casas Novoa in 1740. The Acibecharía façade, also in the baroque style, is by Ferro Caaveiro and Fernández Sarela and was later modified by Ventura Rodríguez. Parts of the substructure of the ninth-century church can be seen inside the cathedral in the crypt below the High Altar. This became the final destination of pilgrims and is said to hold the relics of Saint James and two of his companions, Saint Theodorus and Saint Athanasius. Over time, the burial place of Saint James was almost forgotten. Because of regular Dutch and English incursions, his relics were transferred in 1589 from their place under the High Altar to a safer place, and they were only rediscovered in January 1879. 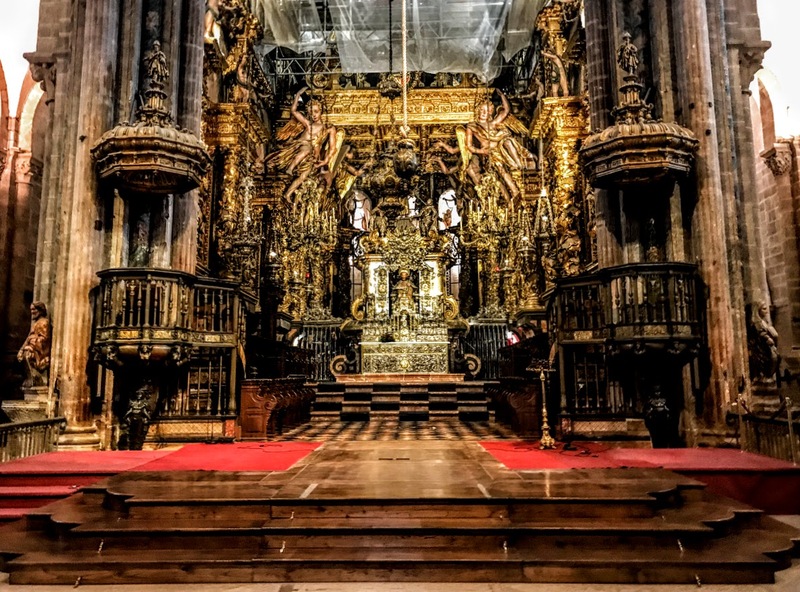 The relics were authenticated by Pope Leo XIII in 1884. The silver reliquary, made by José Losada in 1886, was placed in the crypt at the end of the 19th century. A dome above the crossing contains the pulley mechanism to swing the Botafumeiro, the large thurible also made by José Losada in 1851. This is the largest censer in the world, 80 kg in weight and 1.6 metres in height. On important days it is filled with 40 kg of charcoal and incense. Eight red-robed tiraboleiros pull the ropes and bring it into a swinging motion almost to the roof of the transept, reaching speeds of 80 kmh and sending out thick clouds of incense. 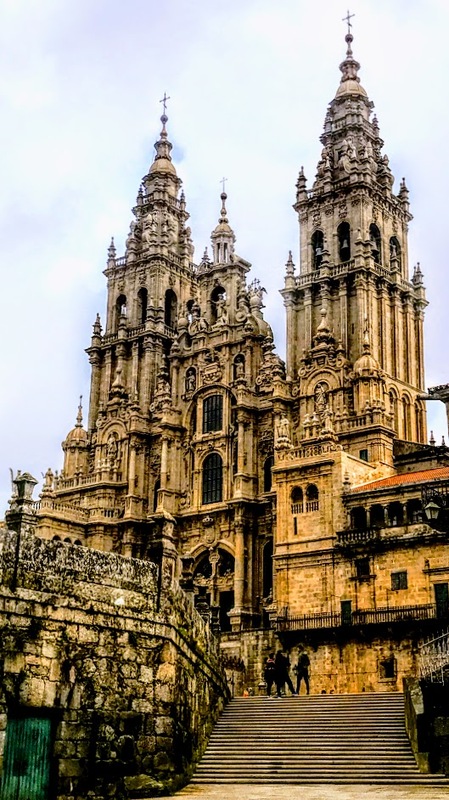 The Camino began to recover its popularity at the end of the 19th century, but the real resurgence of interest in the Camino came in the late 20th century. In 1985, there were 690 recorded pilgrims. Last year, the number had grown to 327,378. Today, many people follow the routes of the Camino as a spiritual path or as a retreat for their spiritual growth. But it is also popular with hiking and cycling enthusiasts and organised tour groups. 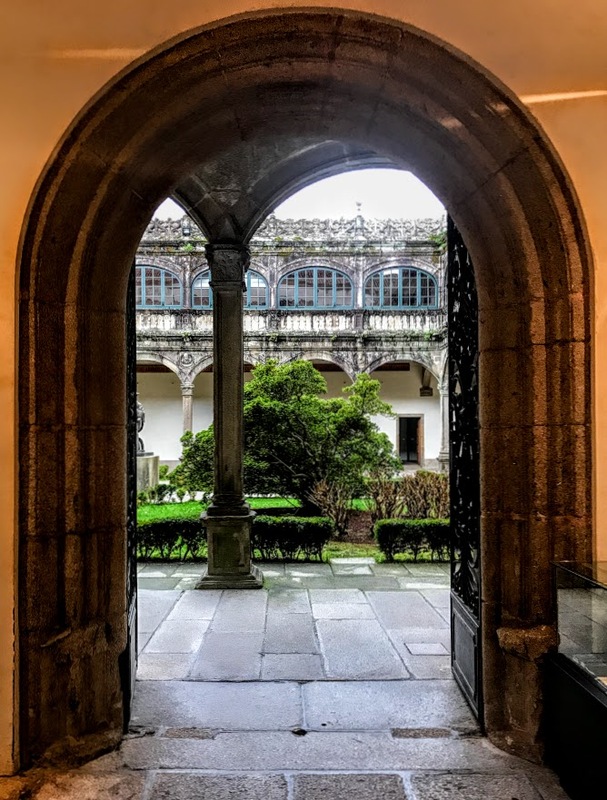 Santiago is also a university city, and the University of Santiago de Compostela is one of the world’s oldest universities in continuous operation. 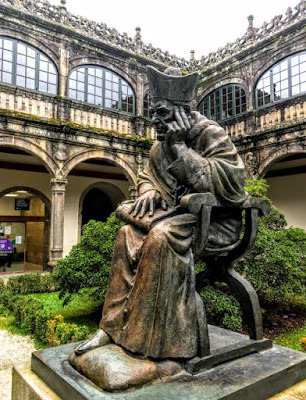 The university traces its roots back to 1495, when López Gómez de Mazoa, a solicitor, founded a school for the poor known as the ‘Grammatic Academy.’ Pope Julius II recognised the institution in a Papal Bull issued in 1504, and the university was consolidated by Alonso III de Fonseca, who became Archbishop of Santiago de Compostela in 1507. The Fonseca College remained at the centre of university life until the late 18th century. The Irish writer and military adventurer Philip O’Sullivan Beare was educated at Santiago de Compostela. Other colleges in the university included the San Patricio College, or the Irish College (1605-1767), where the early rectors included Eugene MacCarthy, Thomas White, a Jesuit from Clonmel, Co Tipperary, and Richard Conway, a Jesuit from New Ross, Co Wexford. Patrick Sinnot from Waterford, who was professor of rhetoric in Santiago, was arrested in 1611, charged before the Inquisition with being a warlock, and put on trial for necromancy. He was convicted and exiled from Santiago for two years. Today Santiago has a population of 96,000. The old town retains its character, with many narrow winding streets lined with historic buildings, and since 1985 it has been listed as a Unesco World Heritage site.